I'm coming up on the nine year anniversary of The Emerging Runner and there's a certain irony that, for different reasons, I'm running at about the same performance level as I did back in 2008. I started the blog as a public journal to record my transition from exercise walking to running. By my first post I was running more than walking, but my distances were fairly modest. Due to some unexpected medical issues involving my eyes, I'm now experiencing challenges that are similar to what I was dealing with all those years ago. However, I am making progress. Back in September I needed eye surgery to address a couple of problems. This procedure is routine and performed about 4 million times a year in the US. Most go perfectly well. Mine only went okay and I'm dealing with a couple of issues that require medication, at least for now. Some of this medication addresses ocular pressure with a residual effect on heart rate. One medication that is used for my condition is also the go-to drug for high altitude sickness. The first time I took it I felt extremely dizzy. I questioned why this drug would be a good choice for mountain climbers who really should not be woozy negotiating a couloir at 25,000 feet. I mentioned that to my ophthalmologist who also climbs mountains. She said the dosage for altitude sickness is half of what I'm taking. Good I guess, but I'd stick with Dramamine. The net effect of a post surgery running layoff and all these medications has resulted in a performance setback. I had adapted somewhat to a couple of the post op drugs and was covering 3 to 4 miles a few weekends back with decent results. Last Saturday, with the addition of the altitude drug, I couldn't run a fifth of a mile without stopping. I recognized the problem and filled in the blanks with a lot of walking, but I really hoped I would be able to adjust to the new medication. I worked from home on Friday and set a goal of running a mile or two before I started my work day. After last week's experience, I didn't know what to expect. I decided I would try to run as easily and efficiently as I could for as long as I could. If I only made it through a half a mile it would still be progress. Most runners have a good idea about how their run will go within a minute after they start. Last Saturday I knew I was in bad shape before I lost sight of my house. Friday morning was cool and clear and once the middle school buses had wrapped up their routes, I took off through the neighborhood. 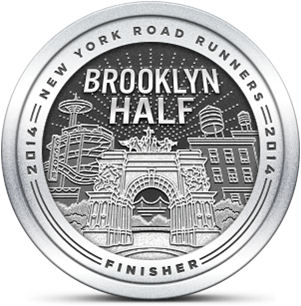 I felt okay and made my way past the quarter and half mile marks with no thoughts of stopping. By the time I reached my first mile I knew I could manage two and probably three. I kept it to a little more than two miles and my pace was slow, but I was very pleased with the run. Knowing that I could run, I set the bar a little higher for this morning's workout. I set off to the local high school to cover about three miles on the track. I left just after sun-up to avoid the crowd and to avoid the humiliation of being the slowest guy running. That was a bad plan because, when I arrived, there were two speedsters, another slowster and a couple of walkers. I lined up in lane 4 and took off at an easy pace that I knew I could maintain. Like clockwork, the speedy guys passed me about once a quarter. I picked up the pace as I progressed, which meant their passing orbit grew increasingly longer as time went on. Besides running over a mile longer today, I paced 6% faster than on Friday. Still slow, but edging toward pre-surgery speed. I was told by my ophthalmologist that my new medication requires a high degree of hydration with electrolytes, especially potassium. There's something to that because when I do hydrate properly, the effects of the drug are minimized. 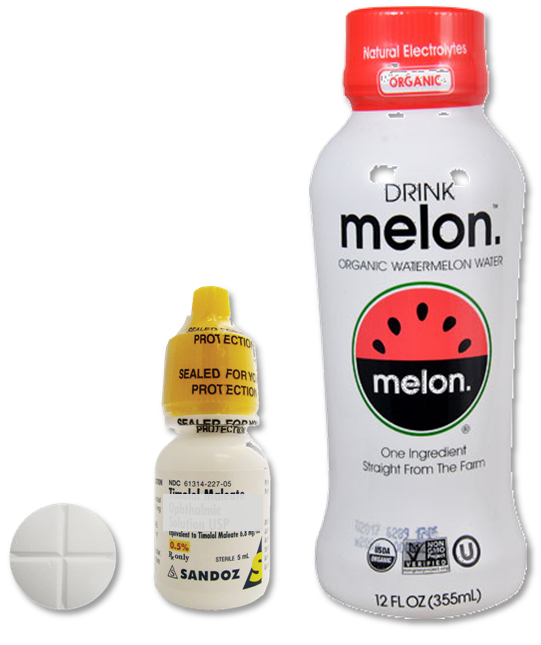 I've been consuming a bottle of Drink Melon Organic Watermelon Water daily which contains 980 mg of potassium (compared to Gatorade which has a paltry 37 mg). It's pure watermelon juice and only 80 calories a bottle. I hope that I will fully adapt to all my medications soon and get back to running as usual. Last weekend was a setback but today was very encouraging. Yes, the liquid you pour off after cutting into a watermelon that you fill with grain alcohol for your elegant soirees. Yes, another diuretic is what I need in life. Thank you. You'll think differently if you're ever put on this altitude sickness drug.